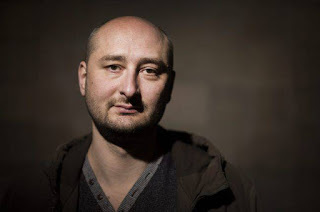 Imagine the surprise when journalist Arkady Babchenko showed up at a press conference a day after his death was announced. It was all part of a plan to catch killers who are actually after him. Surprise!